Shrimp Farm, Prawn Farming With With Aerator Pump Oxygenation Water Near Ocean. 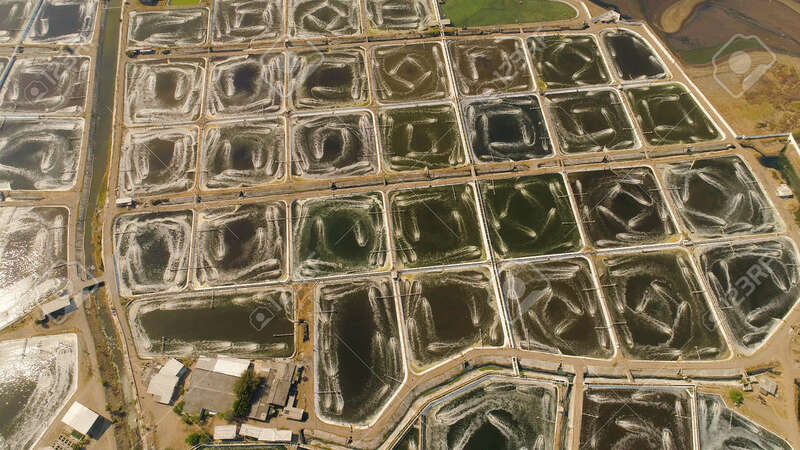 Aerial View Fish Farm With Ponds Growing Fish And Shrimp And Other Seafood. Fish Hatchery Pond Aerial View Aquaculture Business Exported International Market. Java, Indonesia Lizenzfreie Fotos, Bilder Und Stock Fotografie. Image 115258102.